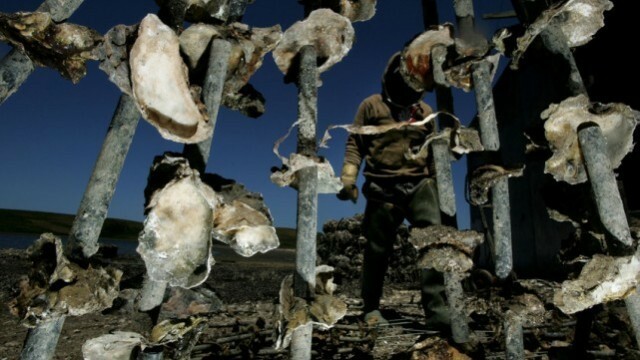 Options have about run out for the embattled Drakes Bay Oyster Company. A new court order may be the final blow for the oyster farm, located within the Point Reyes National Seashore. The aquaculture operation had appealed a decision by the Department of the Interior to allow its lease to lapse. Owner Kevin Lunny had hoped the farm would be allowed to remain open while things were sorted out. But in a two-to-one decision handed down Tuesday (embedded below), the 9th Circuit U.S. Court of Appeals backed up a district court's ruling not to grant a preliminary injunction -- in other words, the farm can't stay open while it awaits the outcome of its appeal. "If this is followed through without challenge, it could allow the Park Service to step in and force us to kill 19 million oysters," said Lunny. "Put them in a landfill, and send 30 families down the road with no jobs and demolish their homes." The closure order came on Nov. 29 of last year, when Salazar announced he would allow a 40-year lease — originally negotiated with the Johnson Oyster Co. in 1972 and taken on by Drakes Bay — to expire. In 1972, the federal government bought the land from Johnson for $79,200 and provided the lease. Lunny took over the lease in 2004. Salazar wrote in his decision that Lunny was explicitly informed "no new permit will be issued" after the 2012 expiration date. The court found that the farm was not likely to prove that then-Secretary of the Interior Ken Salazar violated the law when he decided not to allow the farm to renew its lease. In its decision, the court quickly gets to the heart of the conflict: "This appeal, which pits an oyster farm, oyster lovers and well-known 'foodies' against environmentalists aligned with the federal government, has generated considerable attention in the San Francisco Bay area." Environmental groups are hailing this decision as a victory. "It is a really big deal," said Amy Trainer, executive director of the Environmental Action Committee of West Marin. "It's the third time that the oyster company has definitively been told no, and we believe that it's time to move on." Lunny said he's consulting with lawyers to figure out possible next steps. But his only remaining hope would most likely be a reversal by the U.S. Supreme Court.